During the Great Patriotic War there was not a clear title as “submarine ace”: Royal Navy was used to give attentions to the boats and the crew often used personal “Jolly Roger” war-flags for submarines with painted on them the recorded victories. German Navy gave more focus to the Submarine Commander, calling “Aces” the ones that achieved large tonnages (at least 100.000 GRT) of enemy shipping sunk. Soviet Navy both awarded the crewmembers, the submarine (with titles as “Guards Badge” or “Order of the Red Banner”) and the commanders. 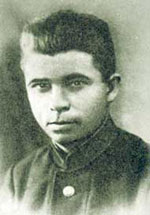 The list includes the submarine commanders in Soviet waters that achieved at least 5 confirmed victories (both sinking or damaging enemy units). Survived at War. (His second submarine was sunk in Soviet air raid of Pe-2 bombers, but he survived). Note: Soviets gifted a reindeer foal to the submarine crew: the animal was kept as mascot into the submarine! POW when the submarine was sunk by the Finnish submarine Vesihisi. (the best soviet result in terms of GRT sinking). The two big transports were full with evacuated (both civilians and military personal) up to 13.200 killed. 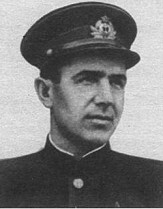 Only other commander to sunk a target of more than 10.000 GRT in Soviet waters. Best Finnish commander (with 2 sinking). Best commander during the Winter War (with 2 sinking). 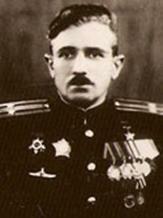 Best commander during Soviet-Japan conflict in 1945 (with 2 victories). 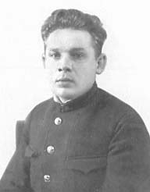 KIA at the end of August 1945, when submarine was sunk by mine. British awards (only the ones received by British Aces on Eastern Front operating from Soviet base).